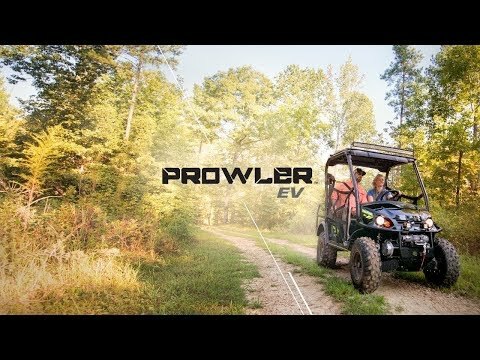 The Prowler EV side-by-side's clean, quiet electric power is perfect for riders who don't want to deal with the fumes and noise of gas engines. POWER: 72V AC electric drivetrain, 25% more efficient than DC-powered vehicles, noise-free and emission-free performance. 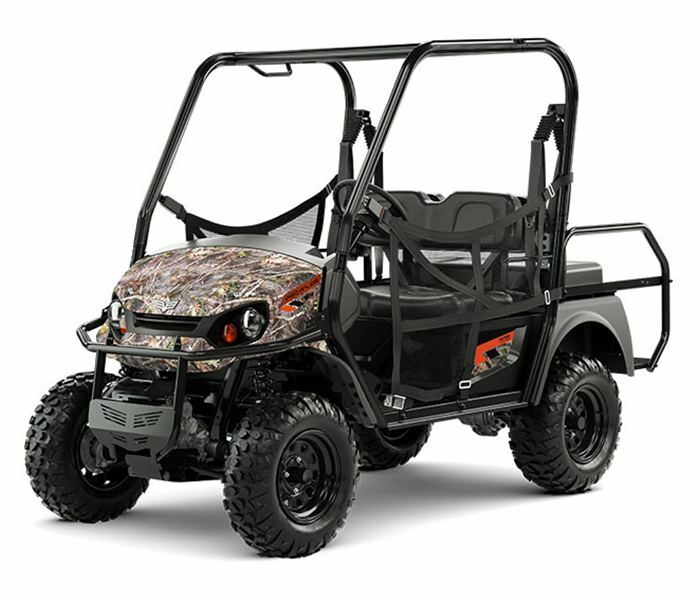 72V AC ELECTRIC DRIVETRAIN: The industry's first AC drivetrain is perfect for hunters who need to sneak up on prey, or anyone who prefers a quieter ride with no emissions. 25% MORE EFFICIENT: Compared to DC-powered vehicles, our electric models are 25% more efficient. Which means you'll spend less time charging and more time driving. GET UP TO 5X CLOSER TO YOUR PREY: Gas vehicles create a 30,000 sq. ft. field of disturbance with noise and exhaust. A noise-free, emission-free Prowler lets you get up to 85% closer. FULL-TIME 4WD: Our 4WD never takes a day off. Always on and always ready for any challenge, so nowhere is off-limits. HAULING & STORAGE: Fit more, haul more, and get more done with a 1,000 lb. towing capacity and a 400 lb. cargo deck. RELIABILITY: Prowler EV is made in Augusta, GA, with the power, precision and performance of the Textron legacy. And we stand behind it with a rock-solid 12-month warranty.